The Supreme Court has asked BJP's BS Yeddyurappa to prove majority on May 19. The Supreme Court has ordered for a floor test to be conducted in Karnataka by 4pm tomorrow (May 19). The bench comprising judges AK Sikri, SA Bobde and Ashok Bhushan were hearing the petition filed by Congress and Janata Dal (Secular) challenging the governor’s decision to invite BJP’s BS Yeddyurappa to form the government. The bench has also refused to address the larger decision of the governor’s discretion for the moment. 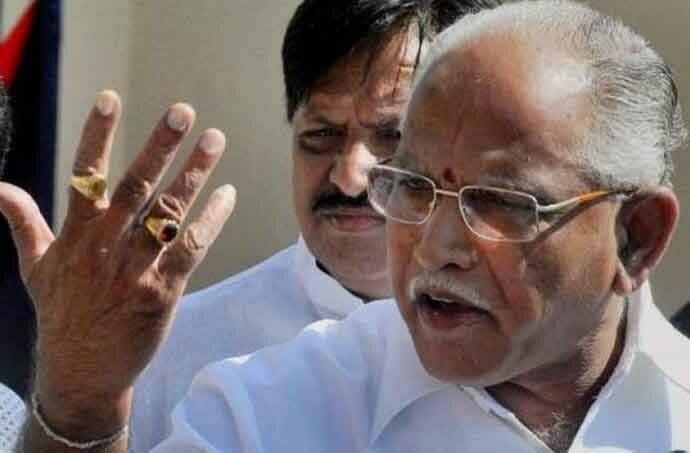 The verdict should come as some relief to the Congress-JD(S) combine smarting under the governor’s invite to Yeddyurappa, despite the BJP not possessing the requisite numbers. The petition was taken up this morning following the dramatic post-midnight hearing on May 17. The proceedings in the court were on expected lines as the Congress’ Abhishek Manu Singhvi demanded that Congress-JD(S) be given the first claim. Senior lawyer Ram Jethmalani, too, got up to say that the court should uphold the rule of law and the governor is in violation of it. The bench told Jethmalani that the matter would be decided later. Even after Mukul Rohatgi (representing Yeddyurappa) handed over the two letters Yeddyurappa wrote to the governor staking his claim to the bench, it wasn’t clear how the governor had arrived at that decision. The letters only said Yeddyurappa was elected as the leader of the BJP and he had the numbers to prove his majority. The floor of the House is where the majority has to be proved, contended Rohatgi, invoking the SR Bommai judgment. Despite Rohatgi’s last-ditch plea that floor test be taken not before Monday, the court had none of it and has passed an order that looks like the best possible remedy after it refused to defer or restrain the swearing-in of Yeddyurappa in the midnight hearing. Importantly, the Supreme Court directions on how to conduct the floor test include a "no" to secret ballot and vesting the pro-tem speaker with the decision on the mode of the floor test (ballot or voice vote). The court has also directed the DGP of Karnataka to ensure the security of MLAs and restrained BS Yeddyurappa from taking any policy decisions before he can prove his majority in the Assembly. The court also prohibited Yeddyurapa from nominating an Anglo-Indian representative to the House before the floor test. So, where do things go from here? Despite the legislature secretariat nominating seven-time Congress MLA RV Deshpande to conduct the swearing-in, governor Vajubhai Vala has decided to nominate KG Bopaiah, a BJP MLA as the pro-tem speaker. Incidentally, Bopaiah was also the pro-tem speaker in 2008, when BJP managed to form a government (with the help of defectors) despite being short of the magic number by three members. He had also controversially disqualified rebel BJP MLAs and helped Yeddyurappa to win the vote of confidence in 2010 in controversial circumstances inviting strictures from the court. All in all, these are ominous signs for the Congress-JD(S) combine. In this instance, Yeddyurappa would need at least eight extra MLAs to win simple majority. The House has 222 elected members and the BJP has only 104 MLAs. The pro-tem speaker can only use his casting vote in case of a tie. The lone independent MLA in the Assembly from Kalaburgi is firmly backing the Congress and the lone BSP MLA, who won as part of the JD(S) alliance is also expected to go with the Congress-JD(S). Even if the Karnataka Janata Paksha MLA R Shankar backs BJP, they would still be short of at least seven legislators. That’s where the defectors come into play. Even if seven legislators from the Congress/JDS switch to the other side, the BJP will win the vote of confidence. It must be remembered that in 2008, when the BJP won 110 seats and fell three short of a majority, they easily got six legislators to switch. For those wondering about the anti-defection law, that kicks in only much later. Yeddyurappa’s government will be safe if he can prove the majority with even the defectors tomorrow. The anti-defection law comes in later after a speaker gets elected and is then subject to his discretion. The pro-tem speaker has minimal powers and he cannot decide on resignations of legislators nor disqualify legislators on the basis of cross-voting. Under the 10th schedule, disqualification of legislators defying party whips isn’t automatic and requires the speaker to pass an order. It has also been noticed recently that many speakers choose to sit on the notices given by parties to disqualify members for defying whips. This happened in Telangana and even recently after the triennial elections to Rajya Sabha in Karnataka when six JD(S) MLAs who voted in favour of the Congress continued to remain the members of the last House till the House got dissolved. Whether the Speaker’s decision to not act against defecting members can be challenged in court is also currently in front of a Constitution bench of the Supreme Court. In short, political parties have found a way around the anti-defection law since there is no time frame specified in law for the speaker to pass an order against the defecting members of the House. On previous occasions, the court has refused to entertain petitions against speakers who sat on notices given by parties to disqualify members for defying whips. If BJP has managed to get seven MLAs of the Congress or JD(S) to defect, they would also have the numbers to elect a speaker from their own. In that event, disqualification of the defecting MLAs will be a long-drawn process. The alternative possibility is rather straightforward. 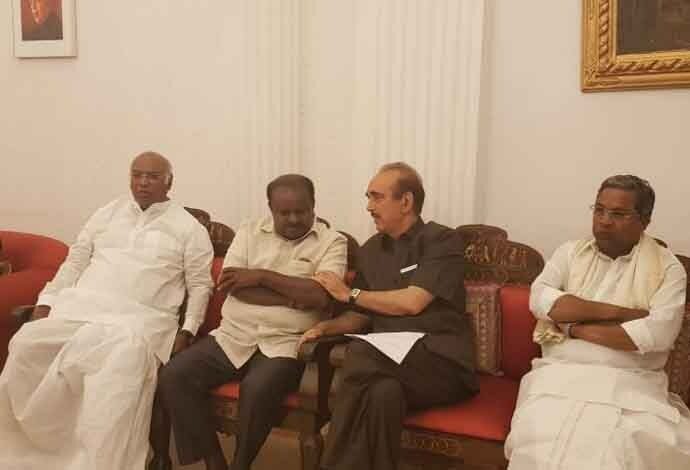 Yeddyurappa losing the floor test will pave the way for HD Kumaraswamy to become the chief minister backed by the Congress. With the Congress and the JD(S) managing to keep their flock together — apart from the missing Vijayanagara MLA Anand Singh — it is anybody’s guess whether any of them will defy the party whip on the floor of the House. With technology advancements making it easy to induce and bribe, it will remain a mystery whether the legislators in the Congress or the JD(S) ranks switch sides during floor test. On the face of it, it looks like a cakewalk for the Congress-JD(S) combine. But based on what transpired in 2008 and BJP general secretary Ram Madhav’s confidence when he said — "We have Amit Shah" — on a TV channel when asked how the BJP would form a government if they fell short, the BJP should be the front runner.